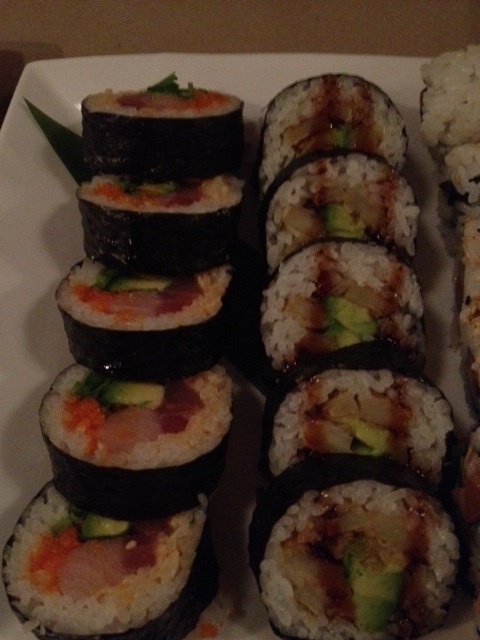 I had a lovely sushi date with my friend Becca at one of my favorite Old Town neighborhood spots, Mizu Yakitori (www.mizurestaurant.com). 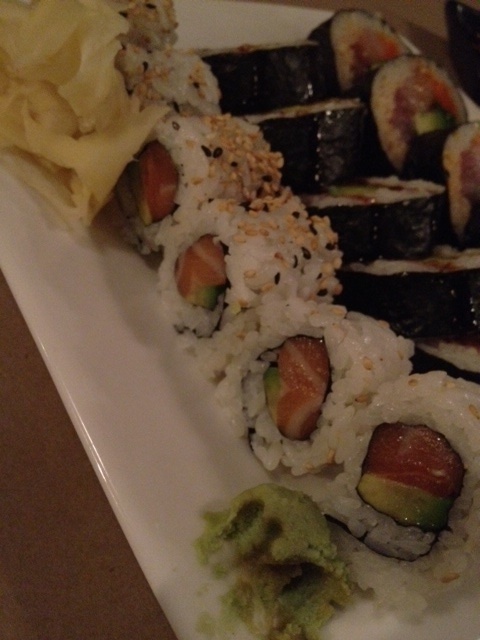 Mizu is great because the sushi is fresh, the service is friendly & prompt, the prices are low and the atmosphere is inviting. This dinner was definitely a yummy treat! 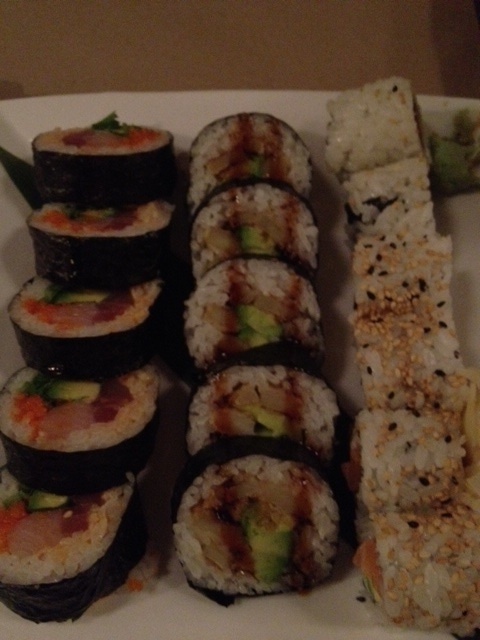 It’s always fun to catch up with a friend over sushi! 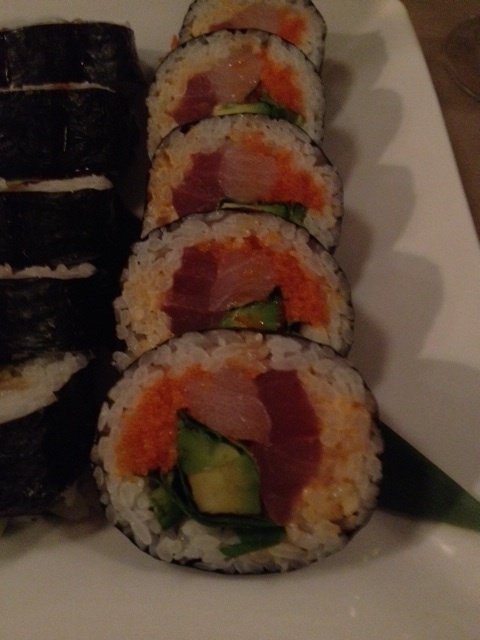 New Mexico: tuna, yellowtail, tobiko, cilantro, avocado, jalapeño, spicy mayo, chili oil & a squeeze of lime juice. Tempura Vegetable: (right) tempura sweet potato, avocado and eel sauce. 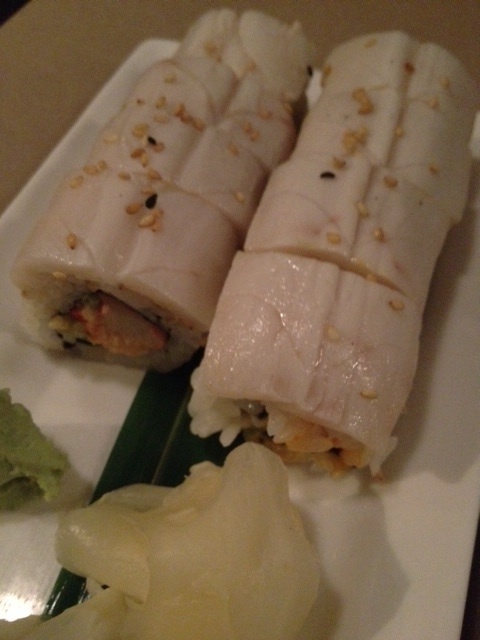 Spicy White Rainbow: spicy california roll wrapped with white tuna and tobiko. 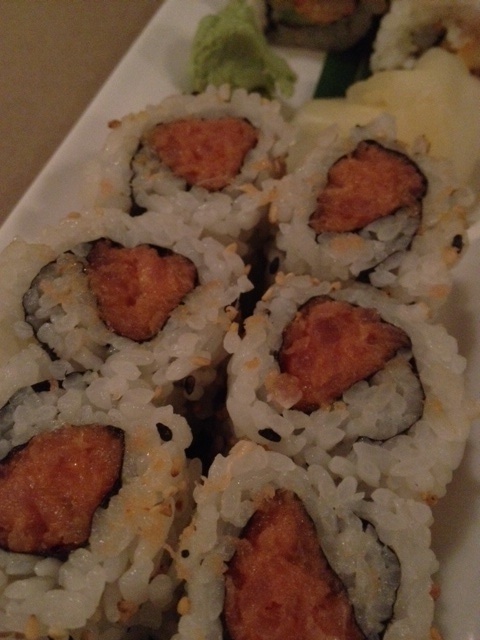 Spicy Tuna: tuna with spicy sauce.